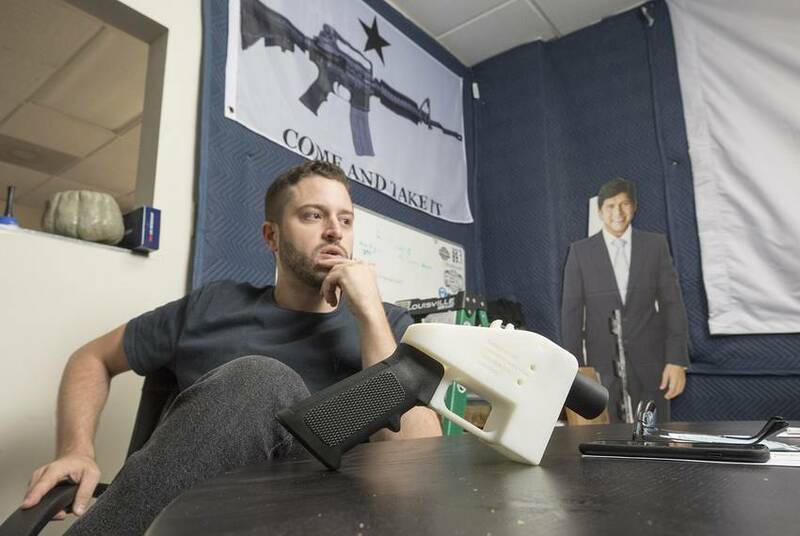 Cody Wilson's group Defense Distributed is known for attempting to upload the digital blueprints for 3D-printed guns. But he also helps customers make unregistered, unserialized conventional firearms. Behind a North Austin industrial office park lies a satirical headstone engraved with the words "American Gun Control." 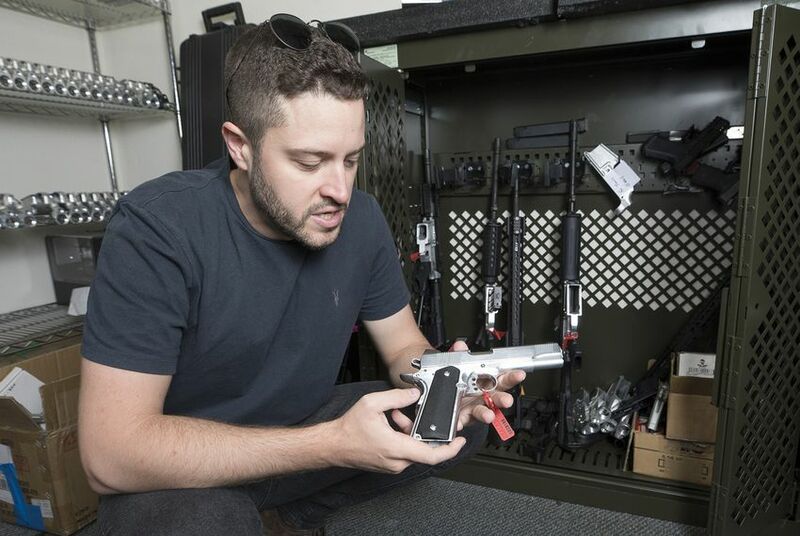 It rests behind the headquarters of Defense Distributed, the internationally known weapons manufacturing organization of self-described crypto-anarchist Cody Wilson. Last week, Wilson was blocked by a judge from publishing digital blueprints for untraceable plastic guns that could be printed at home by anyone with a 3D printer. The court order was celebrated by activists who feared the guns would be undetectable by metal detectors. But late last week, Wilson and his colleagues remained convinced their resistance to restrictive gun laws could not be stopped. 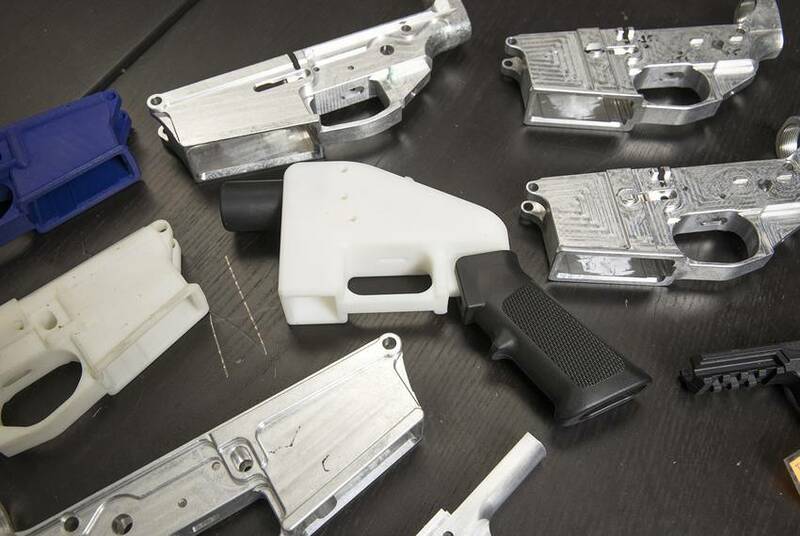 The group, he said, hasn't printed the 3D-printed pistol that sparked the controversy in years. Even though plans for a range of 3D-printed guns are no longer on Defense Distributed's website, many of the plans have been available online for a while, he said. And besides, Defense Distributed has been focusing lately on a much more tangible way for its customers to build an unregistered gun. The group's primary product is the "Ghost Gunner 2," a machine the size of a classroom trash can capable of milling gun-shaped metal parts into legal firearms. Wilson and his coterie sell the Ghost Gunner and metal parts to the public, who can use the materials to create a fully functional firearm at home. Federal law does not require any tracking information or serial numbers for guns made at home that are not for commercial sale. They are unregistered "ghost guns," essentially indistinguishable from a store-bought M1911, Glock or AR-15 except for their lack of digits. “Plug it into the machine, machine takes it the rest of the way, a magical metaphysical line is crossed where it went from being a piece of metal to legal firearm,” Wilson explained, holding a sample frame that had recently been converted to a legal gun. Wilson said plenty of businesses in Texas already sell many of the parts he works with. Even the digital blueprints he uploaded prior to the Tuesday court order had already been publicly available, some for as long as 10 years. But Skaggs said Wilson’s operation is singular in its accessibility. Skaggs said with technology like Wilson's Ghost Gunner, it will be easier for felons and other people restricted from owning guns to get their hands on firearms. The mills, which sell for about $2,000, make the transformation from metal parts to functioning gun far easier than a normal consumer could do with standard hardware tools, he said. The high price also incentivizes customers to produce multiple guns with the mill, which Skaggs said could lead to greater distribution of ghost guns. Mike Bazinet, director of public affairs for the pro-gun National Shooting Sports Foundation, said homemade guns without serial numbers represent a tiny portion of the firearms in the United States. Though he said home manufacturing is not itself dangerous, his organization advocates purchasing firearms through retail gun manufacturers to ensure quality and safety. A spokesman for the Bureau of Alcohol, Tobacco, Firearms and Explosives — the country's main regulatory body for guns — said the bureau does not regulate homemade guns that are for personal use. During an interview Thursday, Wilson spoke with a nonchalant cadence in his deep voice and never broke his somber expression. He wore a black T-shirt and dark, fitted pants, kicking his legs up onto the table as he declared the futility of gun control legislation in the 21st century. Behind him was a cut-out of California state Sen. Kevin de León, a Democrat whom Wilson credits for first coining the expression “ghost gun.” Wilson calls him their patron saint. Wilson is driven by a libertarian ideology, talking at length about his desire to prove that gun control is impossible with modern technology such as the internet. He has written a book, his manifesto published by Simon & Schuster, on the business of DIY guns, and copies line a bookshelf in the office's entryway. He started manufacturing and selling the mills in 2014 to finance a lawsuit he filed after the federal government blocked him from uploading digital blueprints for 3D-printed guns. He said he would continue to sell them so long as the legal battles continue. During the Thursday interview, he celebrated the second straight day without someone suing him. Despite the ideological rhetoric, the office was akin to a college shop class. Still, gun parts littered the shelves and the employees worked under a looming black flag. The staffers were inquisitive and affable, but some balked at requests to smile for the camera. The organization has seen a lot of media file through the office, and Wilson said his “whole media [persona] is to be the chain of destruction or whatever.” When told he looks mean in a photo, Wilson retorts: "Yeah dude, it’s what I’m going for."